Shahid Kapoor Bares All on Automobiles! ZW: What was your first vehicle that you owned? Was it a car or a bike? Shahid: It was a bike. I bought a Bajaj Caliber as soon as I turned eighteen and I had just joined college at the time. Basically the minute I got my driver's licence I knew that it was a bike that I wanted and the Caliber fulfilled that teenage dream for me. As far as cars go, I bought a second hand Maruti 800 right after graduation. At the time I couldn't afford much more! Surprising as it may sound, that car was my first set of 4 wheels so to speak. ZW: Are you a car guy or more of a bike guy? Shahid: Both actually. Choosing between the two is a difficult task for me as my love for both is immense. A bike is a very different experience and you can't get that anywhere else other than on a nice bike. It gives you a sense of freedom. Nowadays my life is rather busy and I live in Mumbai so practicality has governed my heart and a car is what I use more often. It offers me my personal space and helps me unwind at times as well. ZW: Your favourite car and bike? Shahid: I own the car that I love and it happens to be the Range Rover. It's the best car for me as I find it more than capable of handling the disastrous roads in and around Mumbai. I love SUV's for they are more boyish and offer a macho look. They are also practical vehicles and can ferry a load of people and luggage around with ease. My slightly over-weight staff and loads of luggage are regular features in my Range Rover and the vehicle has proven itself to me time and time again! As far as bikes are concerned, I recently picked up a Harley-Davidson Fat Boy. I initially went looking for a smaller bike, but it was the Fat Boy that I fell in love with. It's a heavy bike however it's a lot of fun to ride. I enjoy cruising around on it when I get the time. My other bike is the Yamaha MT-01, which I prefer more during my city jaunts. Despite being a powerful bike, the Yamaha also allows for easy riding in the city. It has an upright riding position as compared to a Yamaha R1, and I actually like the straight posture better. ZW: What is the coolest vehicle that you have driven in your movies? Shahid: I am highly fascinated by Hummers and in one of my movies I got a chance to drive it too! That was a lot of fun. I have also enjoyed a number of sports bikes like the Honda CBR 954 RR. I don't remember the exact movies that I got to drive or ride these machines in, but I definitely did enjoy the experience. ZW: Please share your most memorable drive and your favourite driving destination? Shahid: I like to take the wheel myself and I remember driving left-handed somewhere in Europe, and it is my most memorable drive for all wrong reasons! I was holidaying with my family and we had taken this huge van on rent for our road trip and all of us were super excited to do things on our own. With me behind the wheel and all raring to go, we ended up taking a route to nowhere and two hours into our drive I realized that we had in fact reached no where. It was complete circle that we had driven in! As far as favourite destinations are concerned, I have too many! In India, it is definitely the North for its beautiful up in the hills. Abroad, I prefer Europe for its scenic and just picture book perfect. ZW: What is the fastest that you have driven and in which car? Shahid: Hmmm, the actual figure must be illegal! Just kidding, I really don't know how fast I went, but I drove a Ferrari once and it was really fabulous. That car is simply beautiful and I was thrilled being behind the wheel. ZW: Your wish-list for cars and bikes? Shahid: My brother insists that I should own a muscle car. Keeping his wish in mind I am contemplating to buy a Ford Mustang. 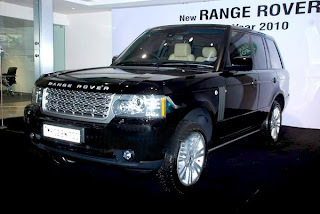 That is possibly the only car on my list as of now for I am rather happy with my Range Rover at the moment. ZW: Five things to be found in Shahid’s car? Shahid: I don't have a list of five essentials, but I always have my Bluetooth with me and with Pioneer's new in-car multimedia system that has an option to plug-in five phones into the device, I am now looking at getting that installed soon for it promises to be a boon for a person like me. ZW: What kind of music do you like? Shahid: I love house music that's loud and progressive. The first thing that I do to keep me going all through the day is listen to some house music with a cup of black coffee. Music is the most important gadget of my life and is functional for me every day. Music is an integral part of my driving experiences as well and no drive is complete without the right music coming out of the speakers.